This waterfall chandelier is dressed in it’s striking oversized original olive brown glass teardrops. 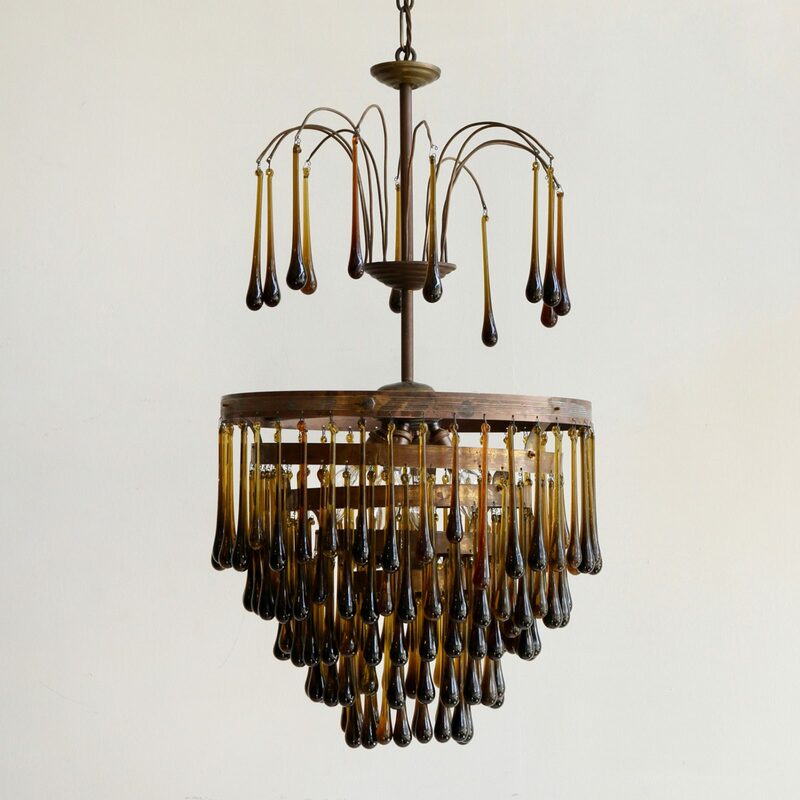 The brass chandelier frame has five lower tiers, the upper tier is reminiscent of drooping willow branches, these also have the large glass teardrops hanging from them. This light would provide a bold injection of colour as it is still impactful even when unlit, it has four inner concealed lamps which will glow through the teardrops. The chandelier comes supplied with braided flex, chain and a ceiling rose. Chandelier requires SBC lamps, these are not included.